122.35 to Bangkok Approack East. 125.8 for Helicopter following the coast below 500 feet. 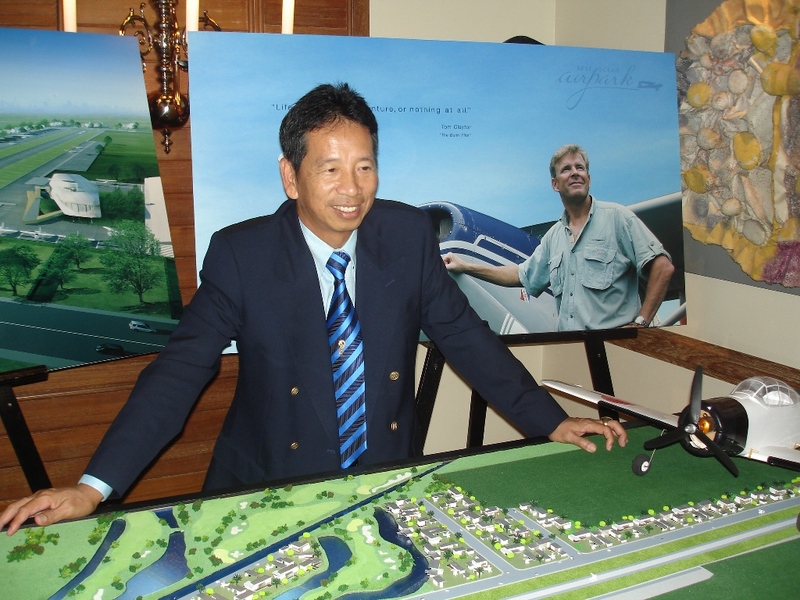 Contact Information: This is the newest airport near Bangkok with golf course and houses and 900 meter runway. 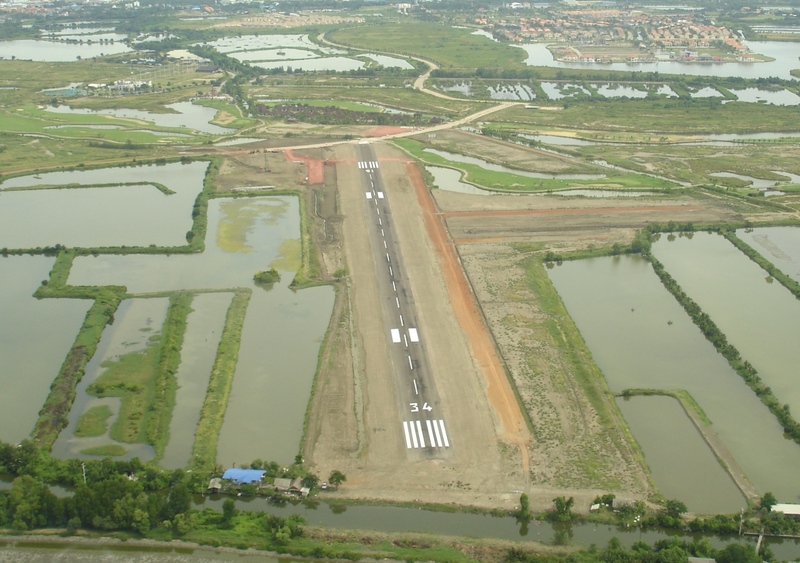 For more information call Khun Up (Mr. Patompong Ponkeo), BAC Pilot, stationed on the airfield - Tel: 081-5135001 - Email: patpilot@hotmail.com. // Other contacts: Khun Sukanya (English) 0899227622. // Khun Sakta 0812446378. // Khun Sitichai 0812446378. // for questions on frequencies - Try Khun Boonthum (aerothai) tel: 0814226030.